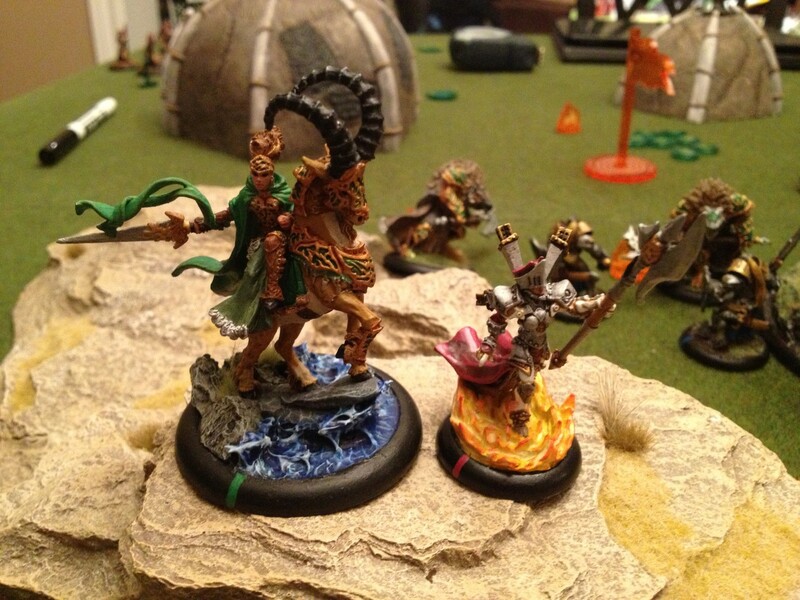 Battle 018 – 35pt Menoth vs Circle, eFeora vs eMorvahna: Burn ’em Twice! While Aaron and Adam were busy playing this week’s podcast battle report (an awesome Cryx vs Khador grudge match! Came out on Monday! 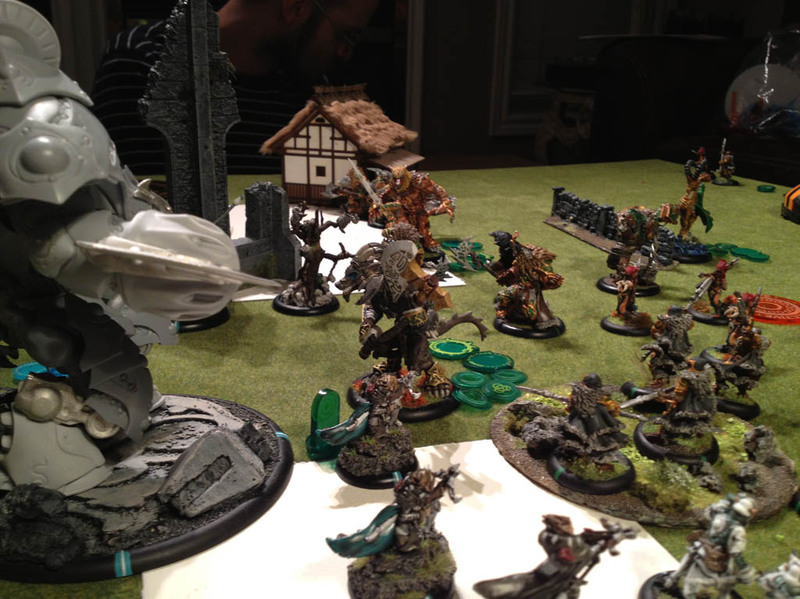 ), Gaven and I were having our own game… his insidious Circle against my pious Protectorate forces! The last time we played, Gaven had attempted to foil The Harbinger with the awesome might of eKrueger, but was very effectively shut down… basically, I curb-stomped the poor guy. With the Youngbloods tournament coming up on Saturday, and this being my last chance to practice any of my lists before it, I really wanted to try out eFeora… but against Krueger (and, more importantly, that Storm Wall spell of his!) she’s a very bad matchup… thankfully, Gaven’s two lists were a Grayle and a eMorvahna! I settled on the Feora list on the spot, and Gaven decided that the goat-lady would be a safer gamble than risking Grayle. 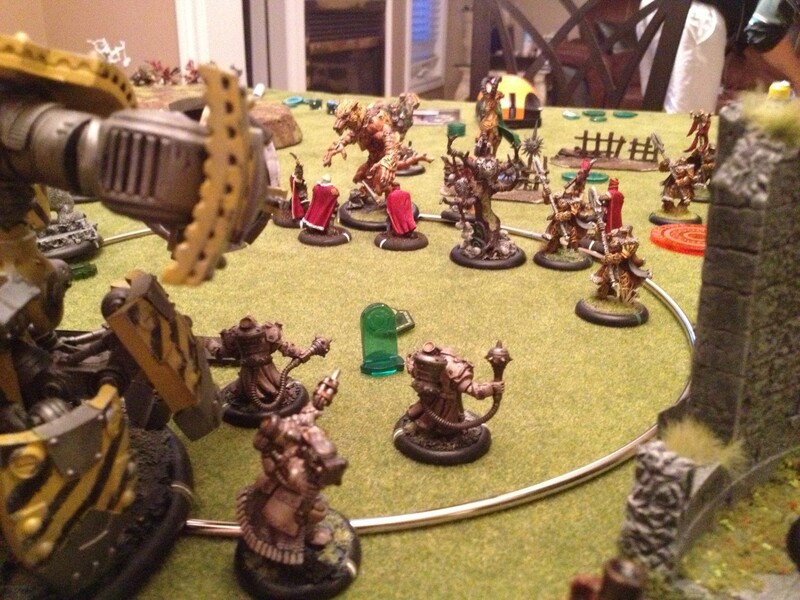 This week on the podcast we feature a game between my Retribution forces and Gaven’s forces of Circle.